The curriculum of the Middle School has an International orientation and supplements English curriculum hours so that the student, in addition to meeting Ministry programme requirements, is prepared to take English Language certification exams at the KET or PET (A1/B2) levels recognized by the British Council. The language component at Middle School is completed with a Third Language (L3), a choice between Spanish and French and the introduction of the CLIL methodology (Content and Language Integrated Learning or learning subjects in a foreign language): Art (English L2), Technology (English L2) and Music (Spanish or French L3). Subjects in Spanish or French L3: Spanish/French (3 hours); Music (1 hours). In the afternoon, once lessons are finished, the students may participate in optional extra-curricular activities such as sports (dance); music (piano, guitar, violin), and languages (Chinese, Sing in English, and additional French and Spanish L3 courses for the preparation of international exams). Fundamental to the Middle School are the principles and distinctive features that have characterized, throughout its history, the Kindergarten School: the centrality of the child, personal and social responsibility, individual implication and active participation by the student in the construction of learning and the educating community, inclusion, citizenship, maximum attention paid to the teaching-learning relationship, quality of learning outcomes, a relationship of trust with families. 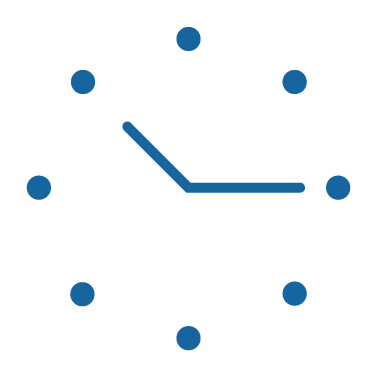 OPENING HOURS – the Middle School is open Monday to Friday, from 7.30 to 18.00. Lessons begin at 8.30 and end at 16.05 twice a week and at 17.00 three times a week. Following the completion of the day’s educational activities, students can participate in optional extra-curricular activities. All the classrooms have Interactive White Boards (IWB), while tablets and laptops are available for every student (used according to educational requirements). Comunicare in lingua inglese (livello bilingue) e nella seconda lingua straniera (fluentemente). Studiare in autonomia avendo acquisito un proprio metodo di studio efficace. Comprendere, analizzare, valutare un fenomeno (critical thinking). Lavorare in gruppo per raggiungere obiettivi comuni, cercando di migliorare reciprocamente il proprio apprendimento (cooperative learning). Approcciarsi agli altri con sensibilità e rispetto; impegnarsi intellettualmente e socialmente. (Italiano) La scuola è aperta dal 1 settembre al 30 giugno. L'attività didattica si svolge dal 15 settembre al 10 giugno. L'attività didattica si sviluppa in un orario di 36 ore a settimana dal lunedì al venerdì dalle 8.20 alle 16.05 (più due ore di sportelli didattici facoltativi di italiano e matematica e IRC/Alternativa). Lunch, in line with the nutritional guidelines established by the Regione Toscana. Lunch is delivered daily by a company that makes meals that are 100% organic. After lunch, the children play in the classrooms or outside. After-school service, with the possibility of participation in optional extracurricular activities. Language teaching at the Middle School takes place through the teaching of English, French and Spanish as languages and by CLIL (Content and Language Integrated Learning), the teaching of subjects in foreign languages: with the double objective of teaching language and content. Art and Technology are taught in English while Music is taught in the second foreign language. All teachers are native speakers of the language in which they teach. The CLIL methodology is becoming widespread in Europe, as has been noted in the Eurydice Keydata on Languages at School in Europe Report (2012) and the Recommendations of the European Commission Rethinking Education (2012), in which linguistic competency in a foreign language figures as a key dimension in the modernization of European educational systems. The CLIL methodology has been identified as a catalyst for renewal and improvement in scholastic curricula. Cooperative Learning is a teaching method used in the Middle School, in which children work together in small groups to reach a common learning goal, reciprocally improving their learning. The students become active participants in all the phases of their learning, from planning to evaluation, while the teacher facilitates, guides, and prepares the learning activity. (Italiano) In collaborazione con l’Università degli Studi di Firenze, il Kindergarten propone ai ragazzi delle medie un percorso a livello individuale, di classe e con la famiglia che aiuta a scegliere in modo mirato la scuola superiore da frequentare, scoprendo e valorizzando le abilità e potenzialità di ogni studente. Il Progetto di Orientamento favorisce nei ragazzi l’acquisizione di un metodo di “presa di decisione” che tiene conto delle proprie caratteristiche personali, dei propri valori e interessi, della gamma di opportunità che il territorio offre e dei consigli degli adulti di riferimento, quali genitori e insegnanti. Il Progetto di Orientamento si inserisce in un processo formativo più ampio che svolgiamo all’interno di ciascuna disciplina nei tre anni di scuola media, finalizzato non solo all’acquisizione dei saperi di base, delle abilità cognitive, logiche e metodologiche, ma anche delle abilità trasversali, life skills e competenze chiave di cittadinanza.